If you are a woman who happened to arrive in Thiruvananthapuram, the capital city of Kerala, on personal or professional grounds without a proper arrangement to stay, you need not worry. The state government has arranged a safe shelter for you to stay. And the best part is that this comes free of cost. Named 'Ente Koodu' (My Nest), this project is conceived and run by the Social Justice Department. Social Justice Minister K.K. Shailaja inaugurated this night shelter on Thursday. 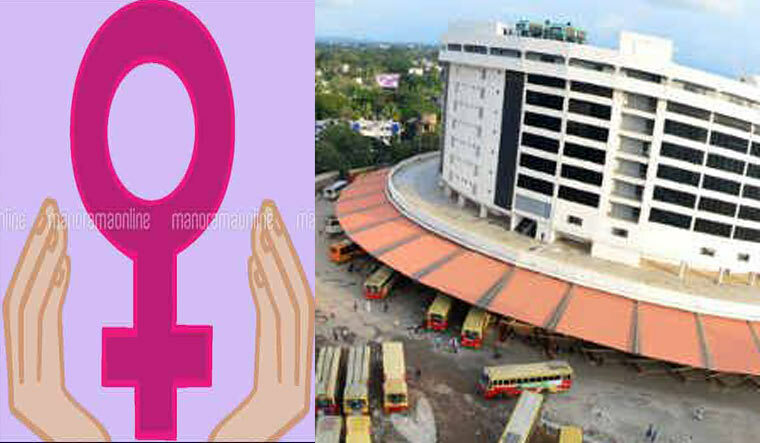 Making the access easier for women who reach Thiruvananthapuram by train or bus, the night shelter has been arranged at the topmost floor of the KSRTC bus terminal. Railway station is barely 100 metres away. One just need to cross the road to reach the shelter. If the women are accompanied by children, the latter can also stay here, provided they are under 12 years of age. The space is completely air conditioned and has proper washroom facilities. Apart from facilities to stay, dinner will also be provided to women who come there. And all these come free of cost. “We thought of such a facility as there have been many instances when women who arrive here for various reasons are forced to spend their nights at railway stations and KSRTC bus stand. One can imagine the insecurity that women who are stranded there face. Ente Koodu is a solution to all that,'' Sunil Kumar, Joint Secretary, Social Justice Department, told the WEEK. According to him, one can avail the facility up to three days. As many as 50 persons can stay at a time and they all will be provided dinner—chappathy and veg/non-veg curry procured from the Jail Department. According to the official, the project has cost the department Rs 30 lakh. There will be two security guards, two matrons and a manager at a time to ensure the security of the women. The official said that the government plans to start similar shelters for women in Kochi and Kozhikode, too. Is Robert Downey Jr aka Iron Man coming to India?